We just don't notice it, but we go through our habits everyday. Wake up early, grab a quick bite, make sure we arrive at the office on time, work, go home late in the afternoon. We cook, eat and catch up with the family over dinner, watch some late night news, and suddenly you notice it's already getting late and it's time to hit the bed. Like your everyday electronic gadgets, we also need to recharge. I always get excited when I browse through my favorite travel and fashion websites and create my wish list to break my daily cycle. In my mind and heart, it would always be about traveling. I just love exploring new places, immersing in new cultures, but most specially learning from the locals - where they go, what they love to eat, what they are proud of. Oftentimes, although a map would be helpful, I would rather lose the map and go off the beaten path. Isn't it more exciting doing it that way? Of course, when I am in a new country, I also do see the sights and the places of activity like any other tourist would do on their first visit. But what excites me more, is going where the tourists don't go, but rather, where the locals would go. Earlier this year, I booked our summer vacation in Boracay, Philippines with Hotels.com thru ShopBack. It was an easy, hassle free experience booking our hotel online. We got a lower price than the published rate and since we booked thru ShopBack we got a 6% Cashback. 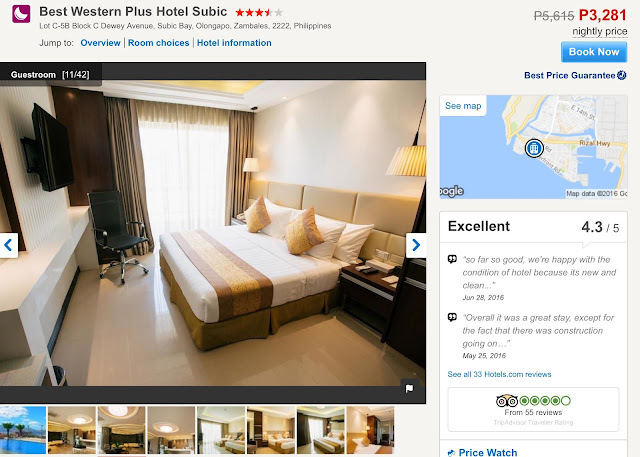 For my travel wish list, I have been looking at several hotels at Hotels.com in one of my favorite places in the Philippines - Subic Bay. I stumbled upon a new hotel with excellent review ratings that got my curiosity running. A 3-night stay at Best Western Plus Hotel Subic at a fair price of Php 3,281.00/night would be a good thing. Subic Bay is a great place to visit for the weekend with it just being 2 hours away from the hustle and bustle of Manila, activities in nature is so much easier to reach plus a really nice hotel to go home to would be more than a welcome experience. I have traveled to several countries such as France, Italy, The Vatican, Monaco, USA, Thailand and Hong Kong, but there is one country in Asia I've never been to and would like to visit soon - it's Singapore. I am a city girl, I am automatically attracted to the city lights but when I'm on vacation, I go somewhere not so center. In Singapore's case, I'd love to explore Sentosa Island. 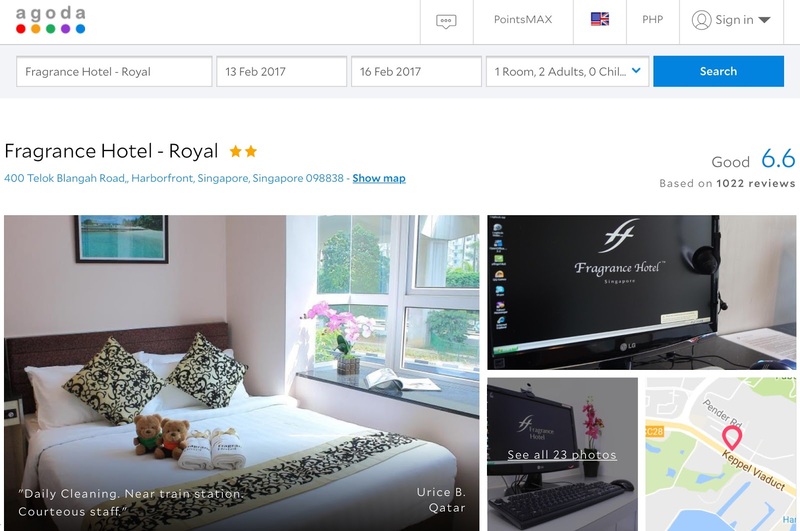 While searching Agoda via ShopBack, I found a fair-priced, decent hotel near Sentosa Island, called Fragrance Hotel - Royal. It just costs Php 2,749/night, and a 4-night stay would be sufficient to explore Sentosa Island. Plus, if you book with Agoda thru ShopBack, you'll get a Php 400.00 Cashback. Alright ladies, we all know this. We look in our ultra-crowded closets and it seems like "we have nothing to wear". What is most exciting to do before traveling? For most women, it would be shopping for a new travel wardrobe! 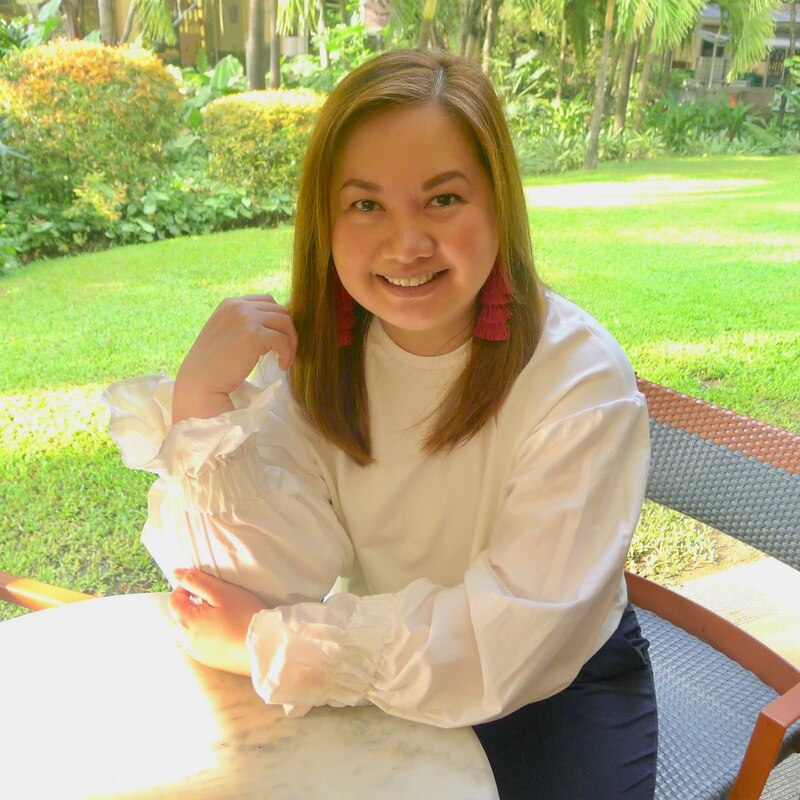 My travel uniform is usually easy, comfortable yet fashionable pieces that I can wear with almost any kind of shoe - whether flats, sneakers, heels or boots. 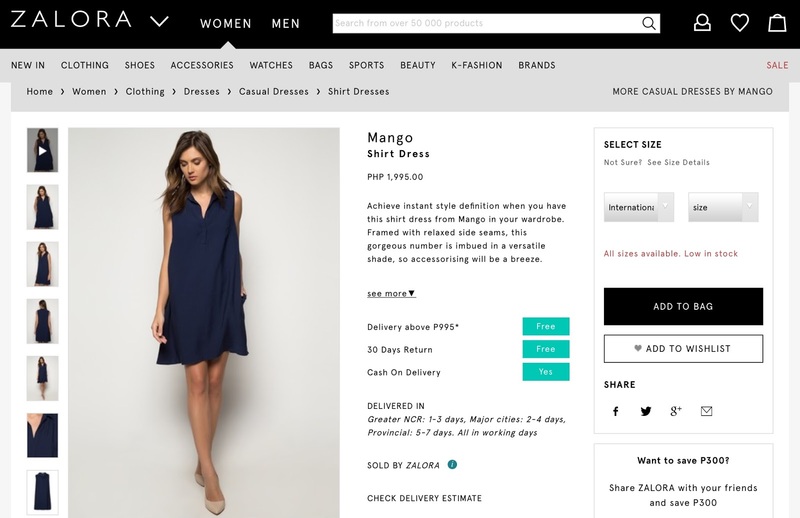 Here are some beautiful pieces I found at Mango via Zalora thru ShopBack. The best thing is, apart from getting your travel fashion fix, you also get a a 12% Cashback your purchases. Isn't that great? If there is one thing I don't like fussing about when I'm travelling is lugging around a huge bag. I love being "hands-free" when I'm exploring a new place and not worrying about my valuables. But it shouldn't be just any bag, it is a known fact that I love Kate Spade bags. She seems to know what a modern woman wants and infuses a touch of fun in her designs and colors. 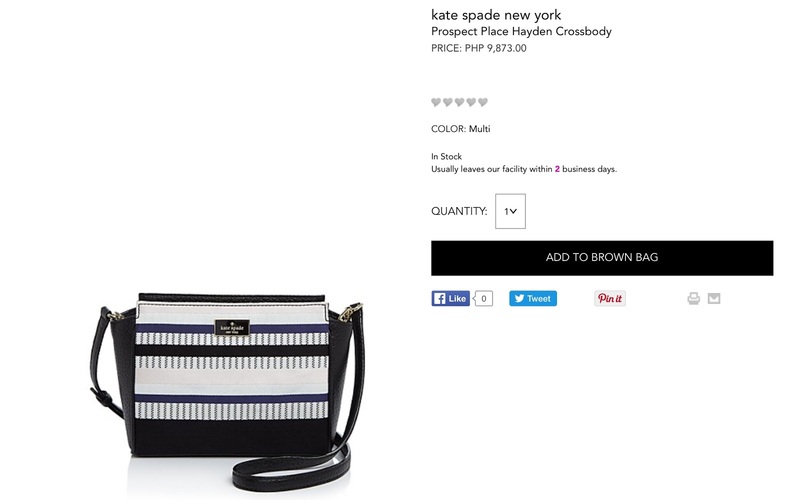 This Kate Spade New York cami cross body bag is small enough to carry only the essentials (such as my credit card, ATM card, cash, passport and miniature make-up) and gives me more time exploring instead of worrying. 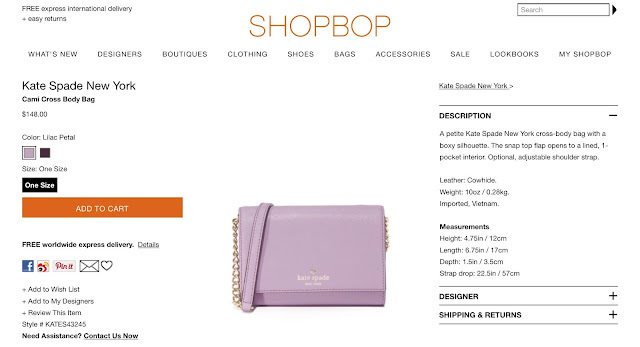 Oh, by the way, shopping at ShopBop thru ShopBack will get you a 4% Cashback. A girl can never have enough of them. I found this Kate Spade New York prospect place hayden crossbody bag via Bloomingdale's! It's a bit bigger than the one above and you can put a bit more stuff in it. Though not too much that it would weigh you down, just remember to bring what is essential when you travel. Pretty isn't it? 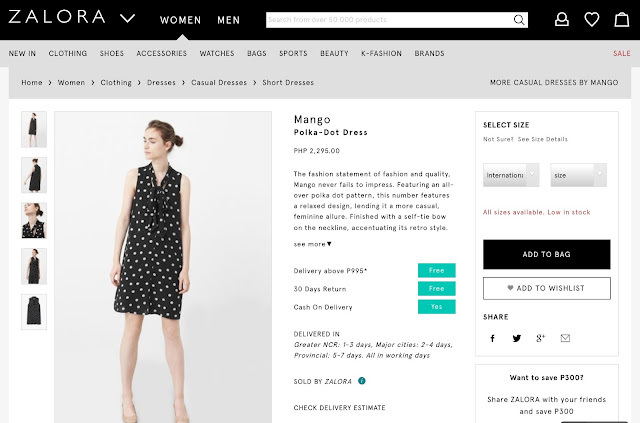 When you shop at Bloomingdale's thru ShopBack, you'll get 3% Cashback. That completes my travel wish list. Do you have a wish list? Find out how you can have your wish granted through ShopBack's Win A Wish Blogging Contest here. You can also stand a chance to win P3,000 by simply liking ShopBack's Facebook page and this Facebook post. Find out more on how to use ShopBack by reading my blogpost about them here. Wishing, dreaming and hoping for my travel wish to come true! ShopBack is the no. 1 online Cashback/Rebate Site in the Philippines and gives you cashback for your online purchases on top of the many discounts available when buying from an online retailer. 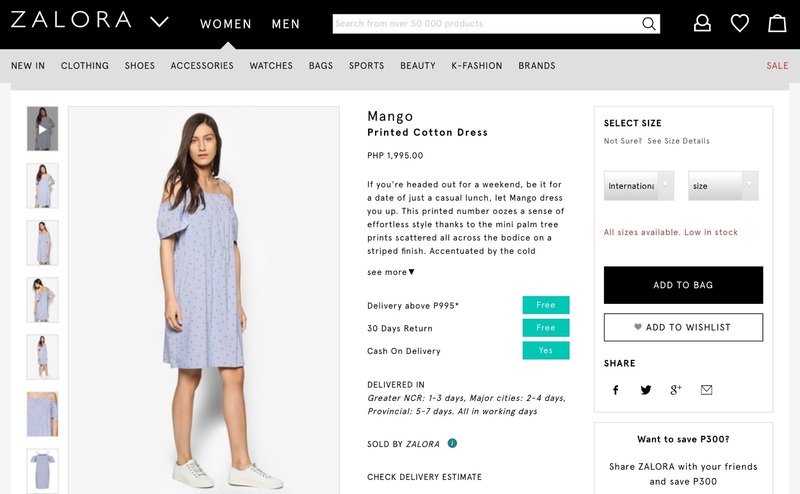 ShopBack has over 300 partnering merchants like Lazada, Zalora, Agoda, Hotels.con, iTruemart, FoodPanda, AliExpress and more. Most of all, cash out easily to your bank, Paypal or GCash account. ShopBack is present in five other countries - Singapore, Malaysia, India and Taiwan.